At the last Council meeting I moved a motion asking administration to investigate ways to make businesses more accessible. The motion was carried unanimously. The above story in The City (page 7, 18 February 2015) provides some background on the benefits of a scheme to incentivise the retro-fitting and renovating of businesses to improve access. 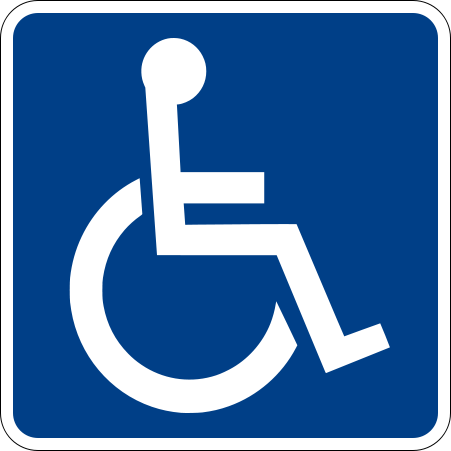 After we received advice of significant unmet need, at Committee I argued that Council should work to ensure adequate provision of accessible parking for the city’s big events. My comments were reported in The Advertiser. As South Australia’s Capital City, Adelaide should be leading the way when it comes to accessibility and setting a benchmark for other cities to follow. 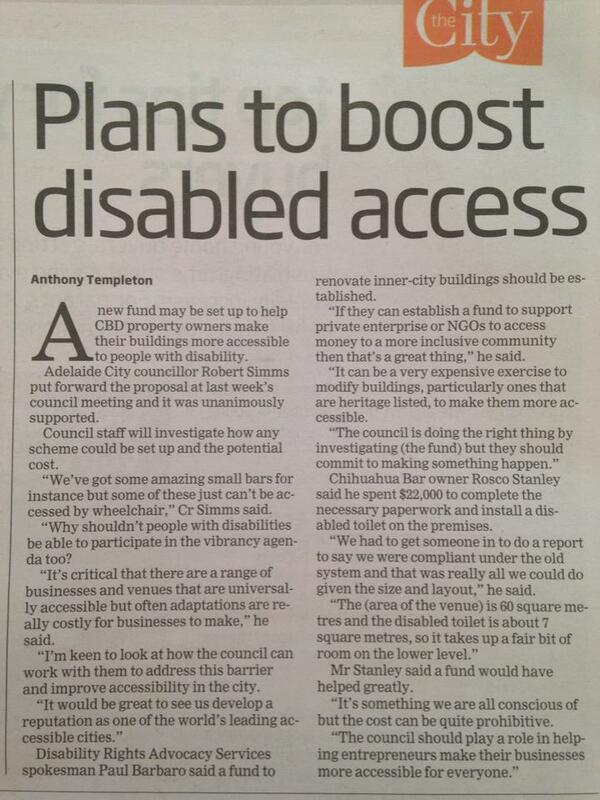 By building a more inclusive and accessible city we can make Adelaide an even more desirable place to live, work and visit.